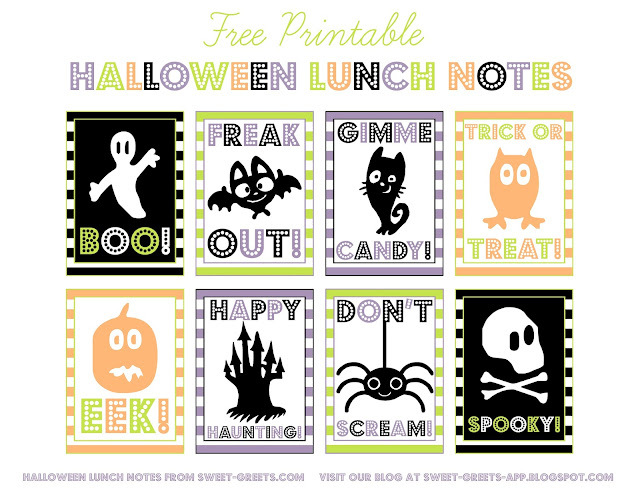 Another set of Halloween-themed lunch notes for you. These feature some not-so-scary ghosts, pumpkins, bats and black kitties. Perfect for little kids. Just click the link above to download. Enjoy!